Hello everyone! Today I'm posting over at Twine It Up! with Trendy Twine. I hope you have had a great start to the new year. 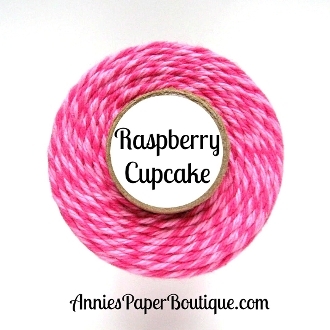 Today, I have a quick card using the fabulous Raspberry Cupcake Trendy Twine. I love to use pink! The stamps are from Unity Stamp Company called Coolest Birthday Penguin and I used my Raspberry Cupcake Trendy Twine as the string on the penguin's balloon. Then, I wanted to use more on my card, but not in the usual way. So I decided to make it look like a banner at the top. I finished it off with some pink sequins I had in my stash. Cute card!! Love the sequins and that cute penguin and banner! So darling Helen! Love the twine banner! Very sweet card! Love the little penguin and the addition of the sequins! This is such an ADORABLE card Helen! That penguin is so CUTE!!!! Very cute I love pink too. Giggle, giggle! Love your card and all the little extras you added! Thanks for the smile! Love that darling penguin! Fun addition with the twine too... cute detail! Cute new use for twine. I love incorporating twine in my cards! Super cute card. Love how you made the bow a banner. Love this! Using the twine is such a great idea to bring out the baloon, and who doesn't love a penguin?! That's such a cute way to use the twine as a little banner. Love that adorable penguin too! Such a cute card!! Love how you've used the twine!! 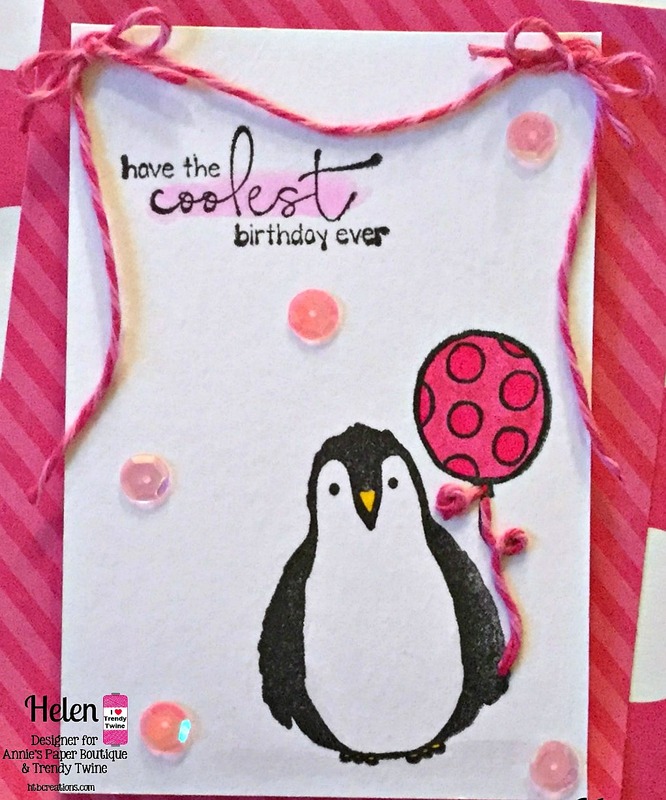 Cute Penguin Helen I love your design. Love the penguin. Cute card. Love this beautiful card, so sweet! So cute with the penguin. Great take on the challenge colors. Love the sweet penguin!! Fun card with all the layers. Oh gosh - how CUTE Helen! Adorable Penguin - love the sequins! This is adorable, Helen. Love the hot pink! Adorable card Helen! 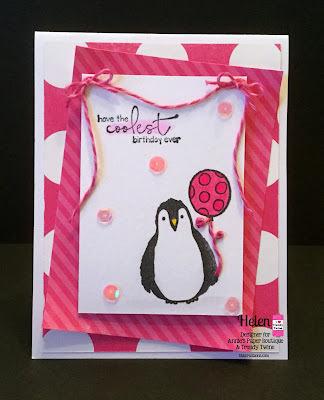 Love the Penguin and pretty sequins and twine!